A wireless stereo speaker for connection with your moble phone, PC, notebook, or any Bluetooth-enabled stero device With a one-to-one pairing that protects listening privacy, the BTS 5.35 provides wireless A2DP Bluetooth stereo-music streaming and supports AFHSS / AVRCP / Class II (10~30 meters). The speaker accepts both wireless and wired audio sources, and is compatible with any PC via Bluetooth, as well as all Bluetooth-enabled stereo smart phones and any brand of stereo-Bluetooth-enabled notebook. The speaker's powerful 5" subwoofer features a long-throw bass effect that supports movie-watching with encoded DTS® / Dolby® / THX® home-theater sound. 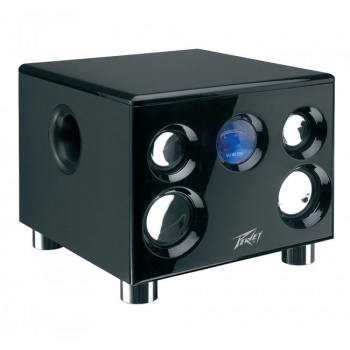 The power rating is 35 watts RMS, with a max power of 54 watts RMS.